Cumbria & The Lake District is home to many excellent hotels and below you will find some examples of the quality on offer. 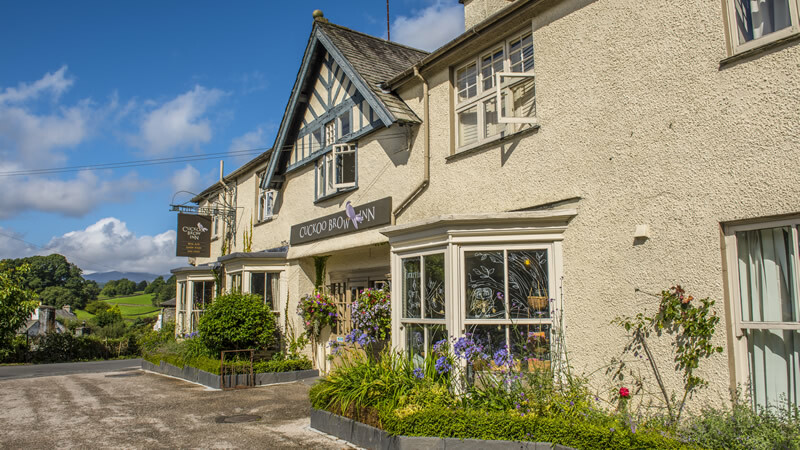 Cuckoo Brow Inn is situated 5 minutes from the National Trust home of Beatrix Potter in Far Sawrey on the western side of Lake Windermere. Serving great food and real ales daily and 14 modern bedrooms. Dog Friendly. Family Friendly. Free WiFi and Parking. 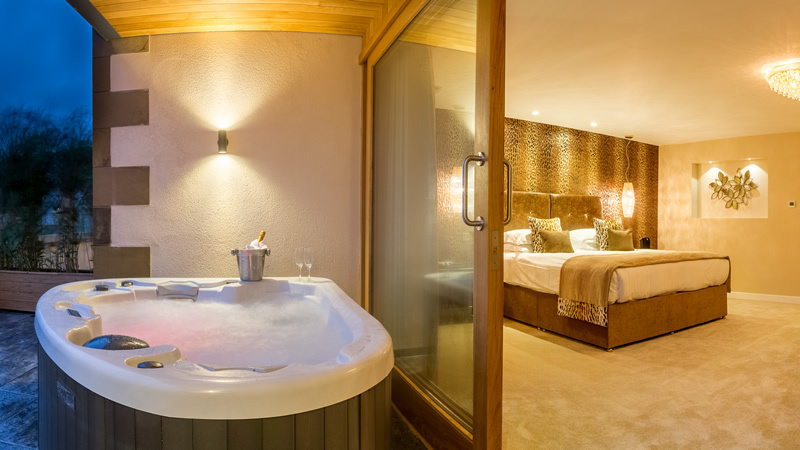 Revolutionising luxury in the Lake District, the rooms and suites at Brimstone Hotel on the Langdale Estate are arguably the finest spaces to be found with luxury bathrooms and balconies. Enjoy in room drinks and dining or pop over to the estates restaurant, Stove for delicious food. 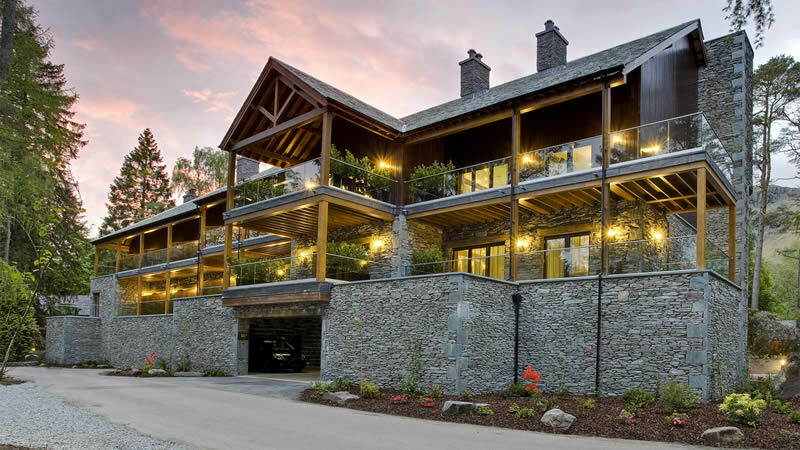 The Langdale Hotel & Spa on the Langdale Estatein the heart of the Lake District. 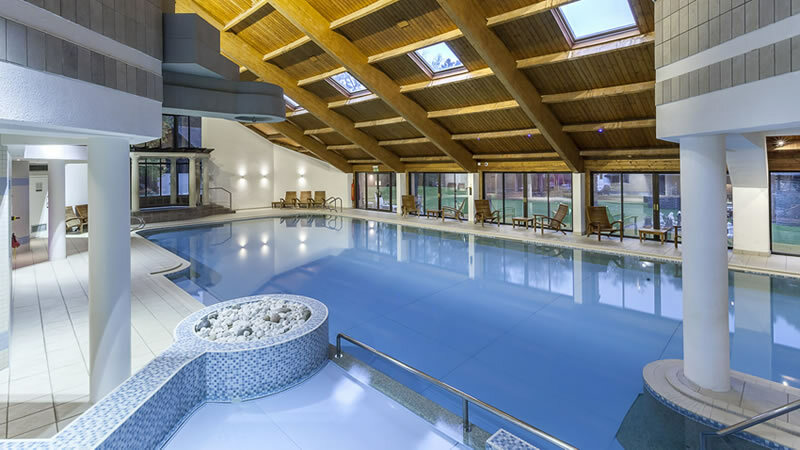 With luxury facilities throughout including pool, gym, luxury Brimstone Spa and Stove Restaurant & Bar. Hunday Manor Hotel in West Cumbria and the edge of the Western Lake District. Close to Workington and Cockermouth it offers a choice of 27 ensuite bedrooms, a bar, restaurant and function suites for wedding, celebrations and conferences. With adventure, activities and the overall landscape, there s something for everyone at every age in the Lake District to enjoy. 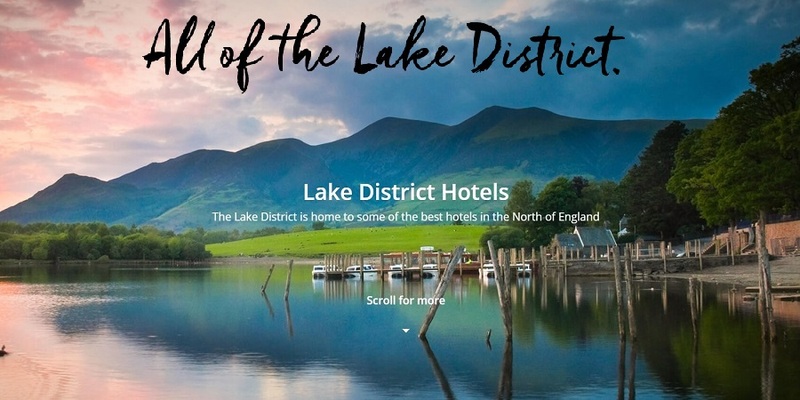 Luxury hotels are a growing trend and AlloftheLakeDistrict.co.uk list some of the best. A stunning Arts & Crafts building in the heart iof Windermere housing a luxury hotel and 7 suites each their own private hot tub. Enjoy Champers in the hot tub, a G&T on the terrace or relaxing bar and dine from a choice of super seasonal food. 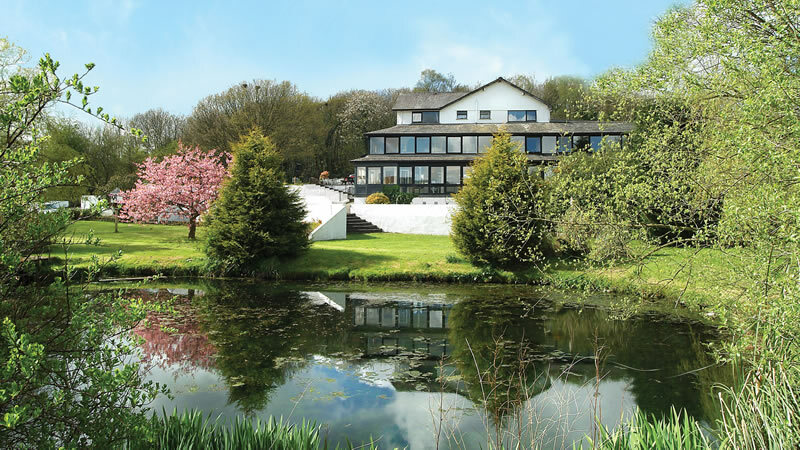 Tucked away in the tranquil Lyth Valley, the Damson Dene Hotel is the best place for a relaxing break. With friendly staff, great spa facilities and gorgeous grub; our guests can’t get enough of us. Family and dog friendly hotel. 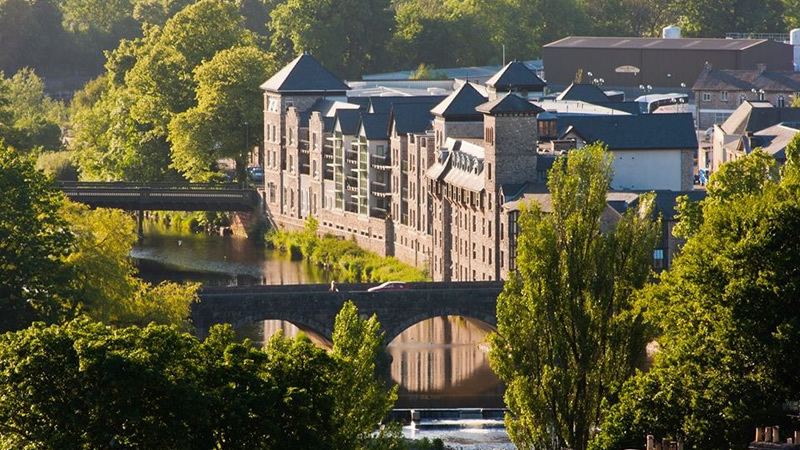 The Riverside Hotel in Kendal located on the banks of the River Kent. 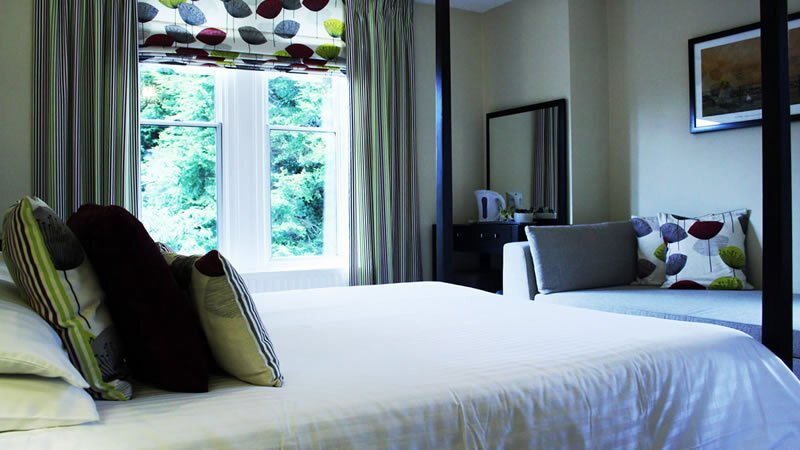 With newly refurbished bedrooms, a bright and airy restaurant and Tannery Bar both serving food and drinks daily. Private, off road parking a real bonus and just a 2 minute walk from Kendal Train Station. Newby Bridge, the place to be when visiting the Lake District. 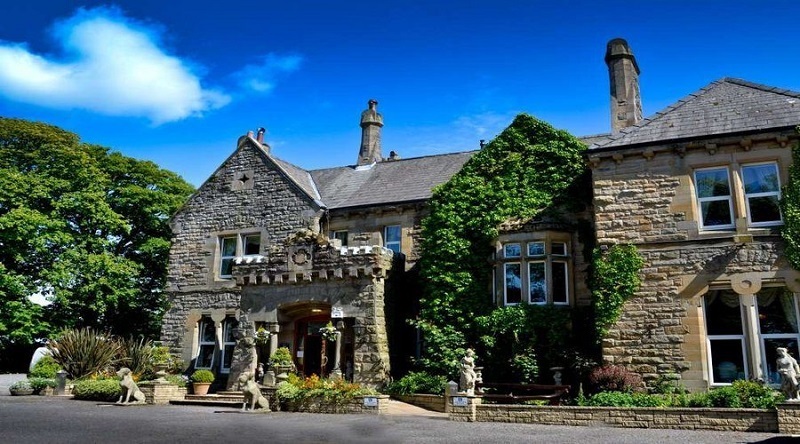 The Newby Bridge Hotel welcomes walkers, dogs, families and all choosing from 45 bedrooms all providing great value accommodation and enjoy the choice of dining in their Garden View Restaurant or The Huntsmans Bar. 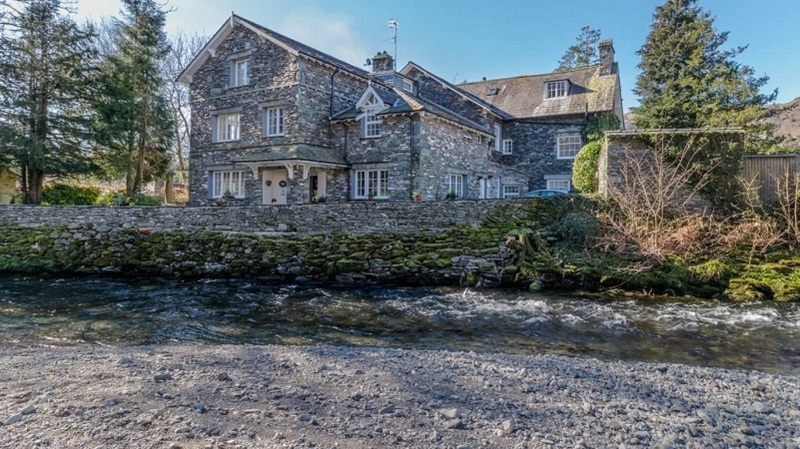 Rothay Garth has a superb position combining glorious views of the Ambleside fells and just a minute's walk to the town centre. This family owned and run B&B offers secure cycle storage, a private car park, a choice of 15 bedrooms including 3 dog friendly ground floor rooms. Windermere Park is just 2-minute walk from Windermere Village centre with its vast choice of shops, quality restaurants, bars and its excellent bus or rail links to other parts of the Lake District. Robin and Clare are the perfect hosts at 'Ellergill', which is located in a quiet cul-de-sac, yet only a 2 minute walk from the centre of the famous market town of Keswick with private off street parking. 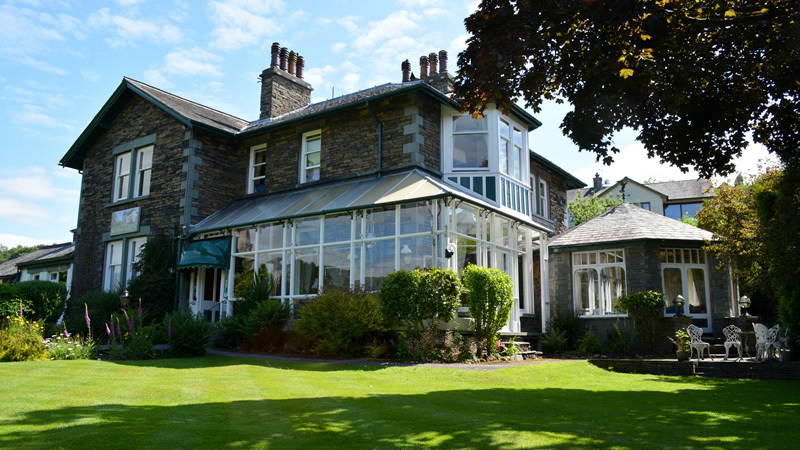 The Gables is a stylish bed and breakfast in the heart of Ambleside. 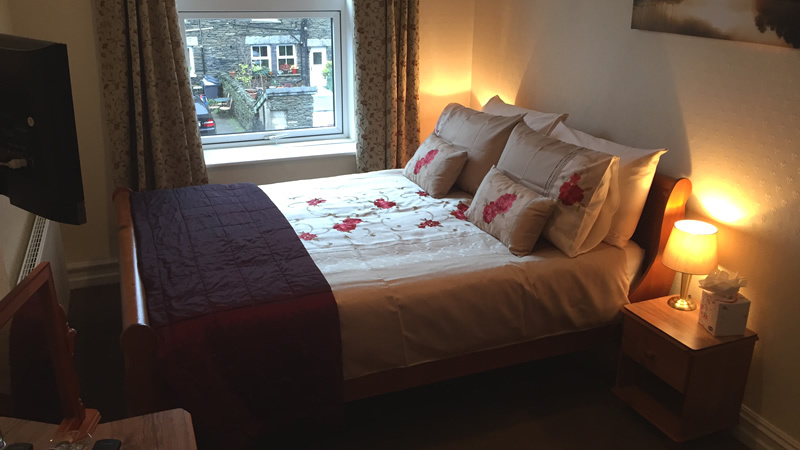 Relaxed and friendly, The Gables is perfectly located for exploring Ambleside, Windermere and Grasmere, walkers paradise. The breakfasts are legendary and really set guests up for a full day on the fells. 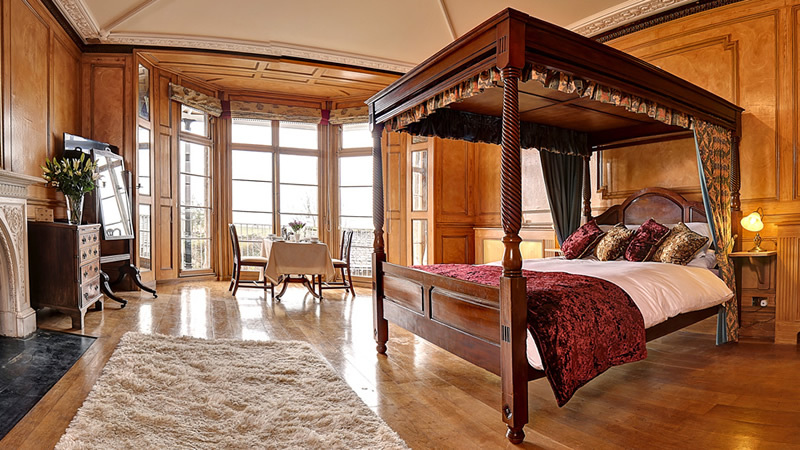 Bay Villa a 3 ensuite bedroom luxury Bed & Breakfast in the South Cumbrian town of Grange-over-Sands. 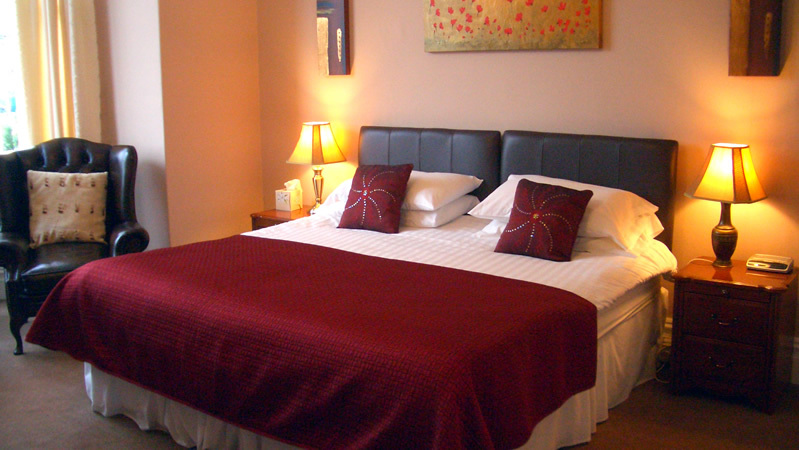 Each room has a completely different and interior but all large and spacious with stunning views over Morecambe Bay. A delightful guest house in the ever popular village of Grasmere in the heart of the Lake District. Christine & Ian at Beck Allans offer high quality accommodation, wildlife filled gardens and AGA cooked breakfasts to set guests up for a days walking on the fells. 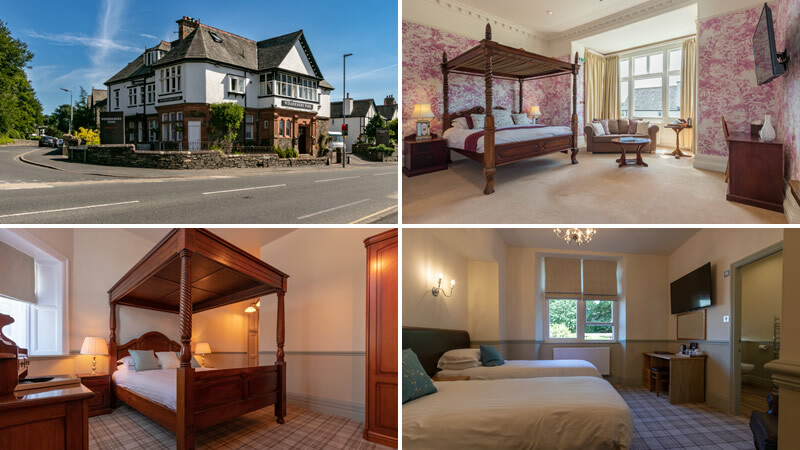 Situated at the northern end of Grasmere and just 5 minutes walk into the village centre, Raise View is a luxury B&B serving delicious breakfasts, a stylish guest lounge with honesty bar and gardens for summer relaxation. 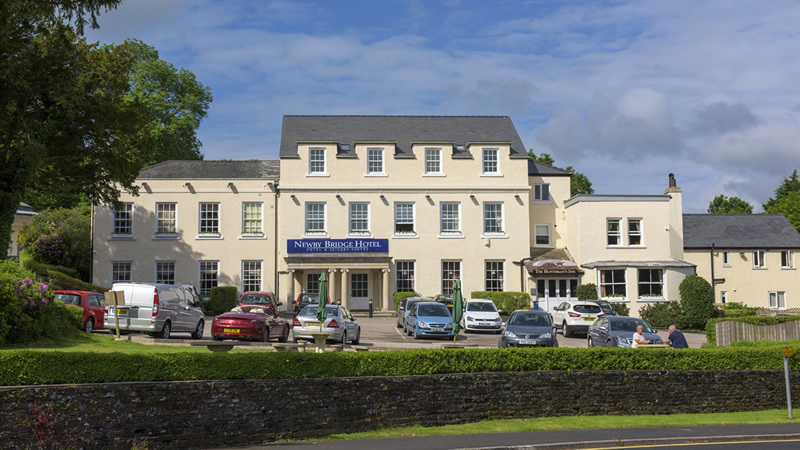 Westbury House is ideally situated close to Windermere village centre with off street parking available opposite and Ffree WiFi internet is available throughout. Windermere has lots of places to eat and drink and is just a 15 mnute walk from Lake Windermere. 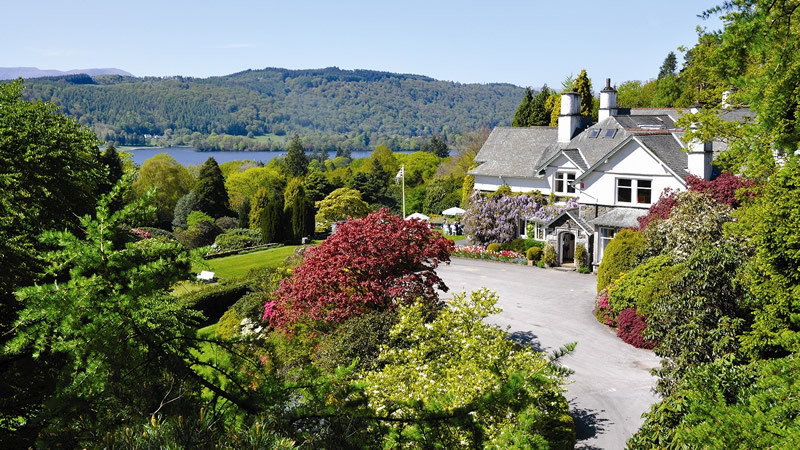 Luxury Bed & Breakfast accommodation overlooking Lake Windermere set in extensive landscaped grounds and gardens. 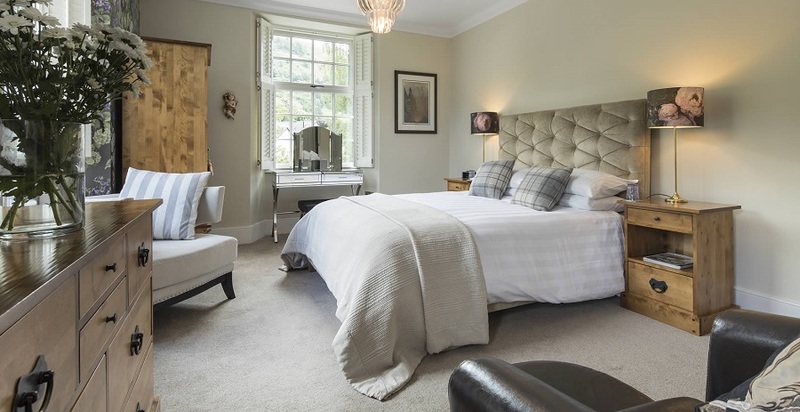 Each of the 14 fabulous en-suite bedrooms include crisp Egyptian cotton bed linen, deluxe fluffy towels, sherry decanters, DAB radio & flat screen TV. Book direct and receive 5% off room rates. 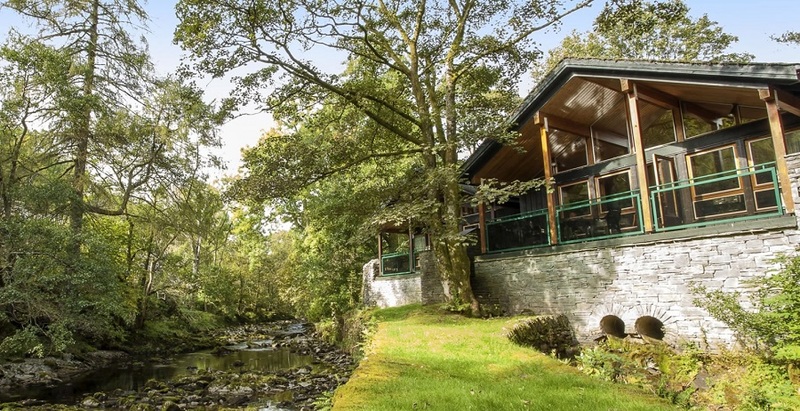 The Langdale Estate, home to some of the best self catering holiday lodges and cottages in the Lake District where guests can also enjoy the luxury facilities the estate offers including pool, gym, luxury Brimstone Spa and Stove Restaurant & Bar. 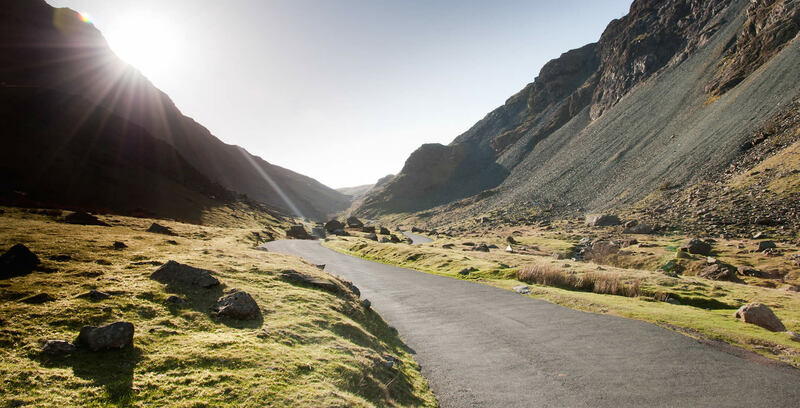 In the UK's newest UNESCO World Heritage Site, the new AllofTheLakeDistrict.co.uk website lists the very best holiday properties to stay in, restaurants and cafes to eat and drink in when staying and the plethora of activities and adventures to enjoy too.